Silvretta Plus - Sport- & Genusshotel Silvretta in Ischgl in Tyrol! All of our rooms & spacious suites are cosy and comfortable, yet at the same time they provide all the amenities you can wish for in your holidays. The same can quite rightly be said about the varied culinary delights we offer to our guests. In our hotel’s own restaurant “Bärafolla”, our gourmet restaurant “STIAR”, as well as our “WIARTSHAUS” we can cater to all tastes and culinary desires of our guests. Enjoying in the well designed ambience of the Silvretta hoterestaurant – only for our hotel guests. Our chef Gunther Döberl and his team will spoil you with excellent dishes and delicate wine. Simple dishes, which are made with love and respect for Austrian traditions and the nature that surrounds us. Traditional Austrian delicacies, crispy pizzas and fondue specialties such as a cheese or a chinois fondue. Our MAASHOF is situated in a natural landscape rich in forests and pastures outside of Ischgl. The legendary party location in Ischgl. In our hotel’s restaurant we serve delicacies from the Austrian and international cuisine. Enjoy the special atmosphere when we have Tyrolean live music at the hotel bar twice a week in winter. The basis of our Tyrolean delicacies and international delights are high-quality products, mostly from our beautiful homeland, the Paznaun, according to the season and our own farm, the MAASHOF. Enjoy an extra of fine culinary art served in exquisite atmosphere at our new gourmet restaurant STIAR. Our chef Gunther Döberl and his team will spoil you with excellent dishes and delicate wine. We want to make sure our guests get top quality. Thus, we mainly use products from the region or from our own production to create artful delicacies with that certain something. So, take a seat and allow us to surprise you. SIMPLE DISHES MADE WITH LOVE AND RESPECT FOR AUSTRIAN TRADITIONS. 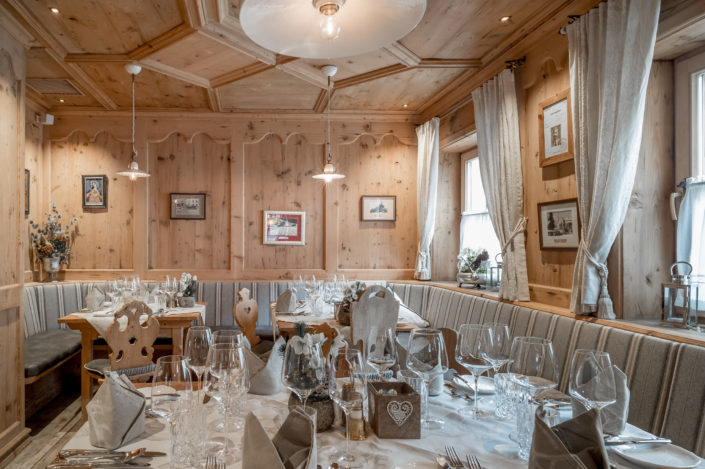 Besides the “Bärafolla” and our “STIAR” our new “WIARTSHAUS” is another meeting point for those interested in the culinary side of Ischgl – be it guests of our hotel or external visitors. Tyrolean tavern culture is perceivable throughout the whole restaurant. Regional, savoury and hearty – that’s how we can describe the dishes served at our “WIARTSHAUS”. You can look forward to seasonal classics of the Austrian cuisine made with products from local suppliers and our own farm & butchery. Simplicity in the form of delicious yet simple dishes, all of which are made with love and respect for Austrian traditions and the nature that surrounds us here – this is what the “WIARTSHAUS” serves. TYROLEAN SPECIALITIES AND DELICIOUS PIZZAS. 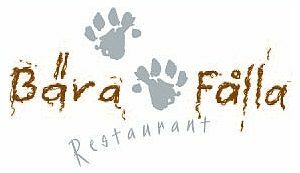 Welcome to our restaurant “BÄRAFOLLA”. 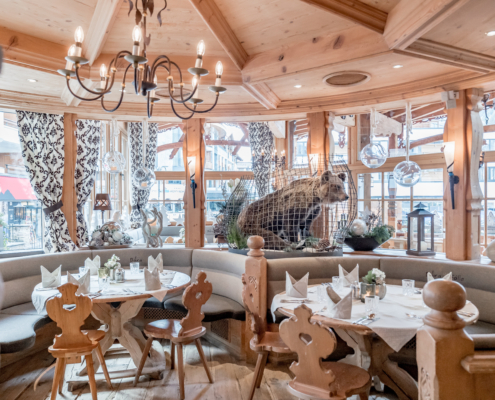 Enjoy the comfortable atmosphere of the rustic “Bärafolla” over a traditional Austrian delicacy or a delicious fondue such as a cheese or a chinois fondue. Or do you prefer to dine “classically Italian”? Then you’ll certainly like the crispy Bärafolla pizzas. MARIA UND PETER ZANGERL PRODUCE THEIR OWN SPECIELTIES. Our MAASHOF is situated in a natural landscape rich in forests and pastures outside of Ischgl. Our animals can live a peaceful life there, when they are not on the Alps in summer. Whenever time permits it, we, Maria and Peter Zangerl, work on the MAASHOF and help produce our own products. This is how we make sure our guests get top Tyrolean quality. All of our products are made with love and the utmost care. The specialities we produce at the MAASHOF such as different types of bacon, Bündnerfleisch, Weisswurst, yoghurt, milk, veal, pork, beef, mutton, frankfurters, currywurst, hamburgers and cold cuts can be purchased at our gourmet restaurant “STIAR” – that way you can enjoy a Tyrolean delicacy even after your holidays have ended. Party at our legendary KUHSTALL!!! THERE IS ALWAYS A LOT OF FUN AT THE KUHSTALL! More than 29.000 Facebook-Fans cannot be wrong! This is where an unforgettable day ends and party fun and romantic adventures begin. Our Kuhstall is one of the best known and most popular locations in Ischgl. Here party people from all over the world meet for après-ski, dancing and partying until the early morning hours. Our DJs entertain our guests and get them into the party mood. The Kuhstall Cup is another highlight. You can find information on current events, photographs and guest reviews on the Kuhstall website.